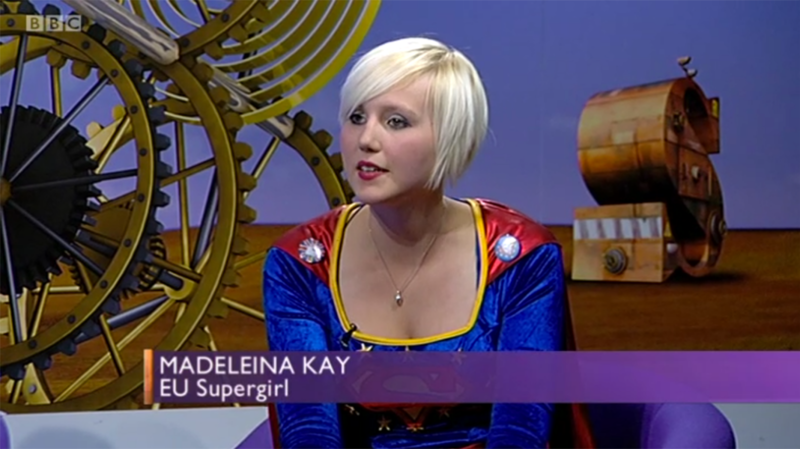 Madeleina Kay, known to some as "AlbaWhiteWolf " or "EU Supergirl ", is also "Young European of the Year " 2018. An EU title awarded by the Schwarzkopf Foundation , for which she was interviewed in Berlin on 20th March, as just one of five nominees chosen from thousands of young people nominated from across Europe. 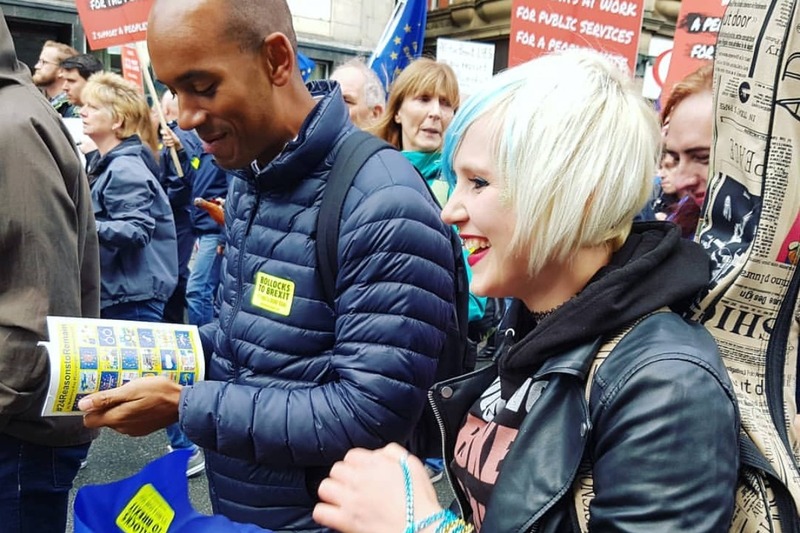 There are very few remain campaigners who haven’t met, seen or heard Madeleina; on at least one of her numerous appearances at pro EU rallies, marches and demonstrations across the UK and Europe; or through national/international TV and radio coverage; or somewhere on social media. 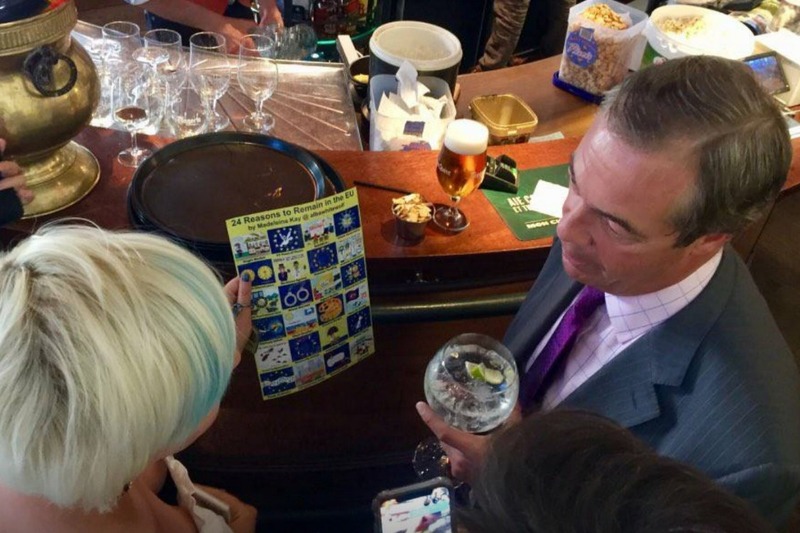 For the past two years she has been campaigning tirelessly for the U.K. to remain in the EU. 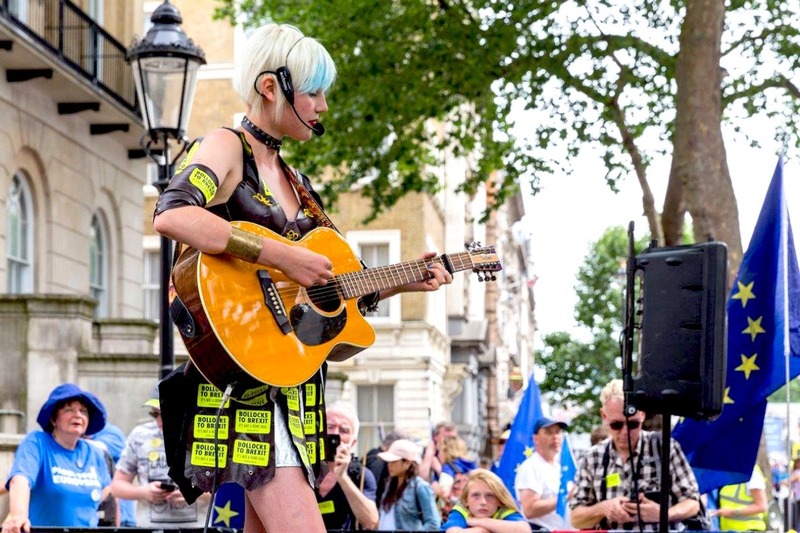 Using her distinctive style of music, art and writing to convey the basic point of the argument - The U.K. is simply better off in the EU. 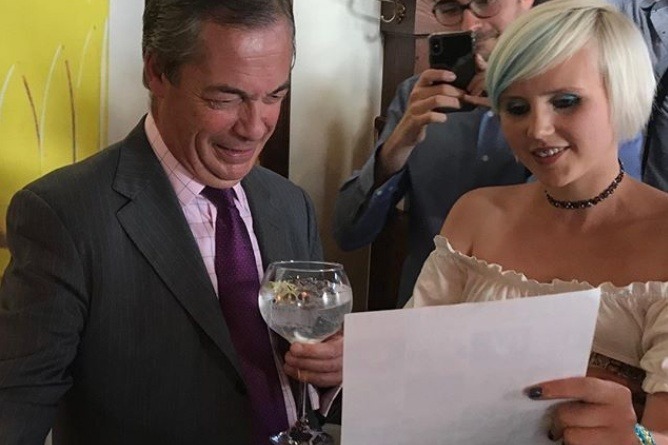 Madeleina is a champion of the younger generation that will be most affected should Brexit go ahead. 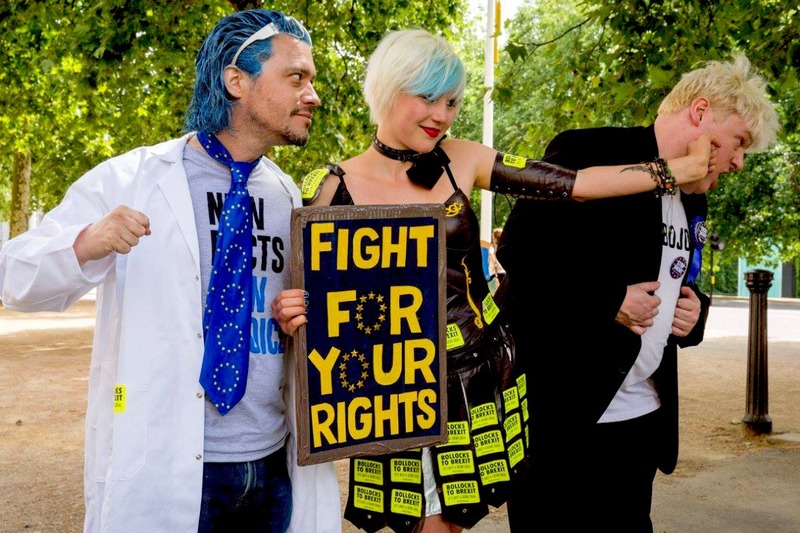 Having postponed her degree at Sheffield University, to concentrate on fighting full time to reverse Brexit, Madeleina has spent the past 2 years living at home with her Dad, keeping up a full diary of interviews, performances, presentations and creative campaigning. That takes some organising and commitment and means that Madeleina has not been able to earn any money since she started campaigning. 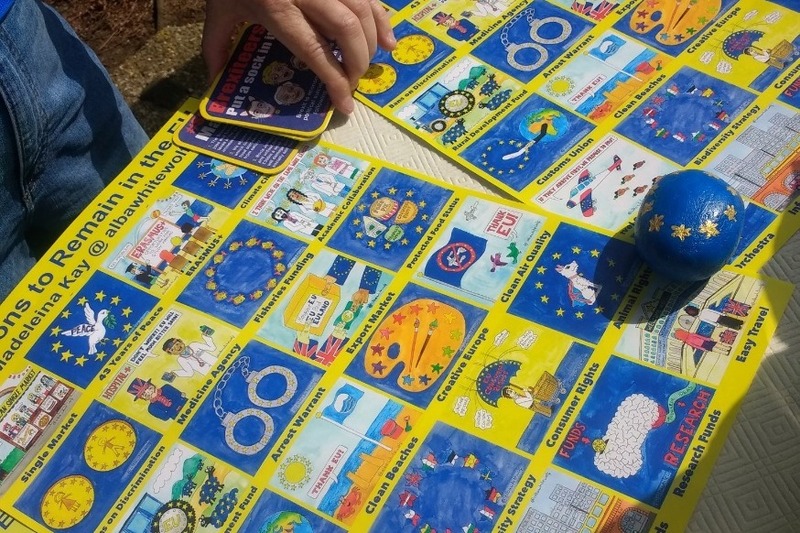 She allows her art work to be freely used by the Remain campaign, and produces graphics for campaigning literature for local groups. 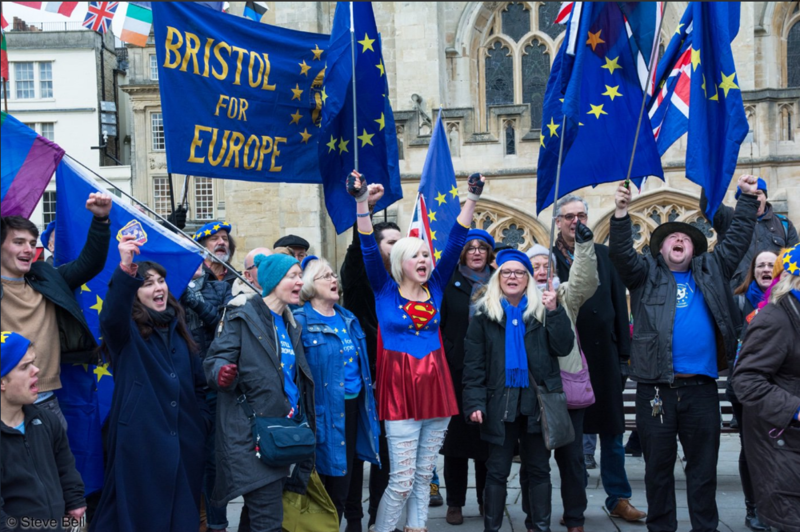 Her campaign projects (Letters2Europe , StopBrexitBeermats , #24ReasonstoRemain ) are 100% crowdfunded and she has received no external funding. Her illustrated books are also crowdfunded and self-published: Theresa Maybe in Brexitland (which was used to lobby MPs), Go Back To Where You Came From (which raised £1800 for a refugee charity and which Madeleina uses to give talks about refugees in Primary schools), Alba White Wolf's Adventures in Europe (A sequel which promotes European culture and history), Thump the Orange Gorilla at the Big World Zoo (4000 copies were given away at the anti-Trump protest in London) and Cyril the Ninja Squirrel (a story about the Save Our Trees campaign in Sheffield which illustrates the environmental benefits of Street Trees in urban areas). 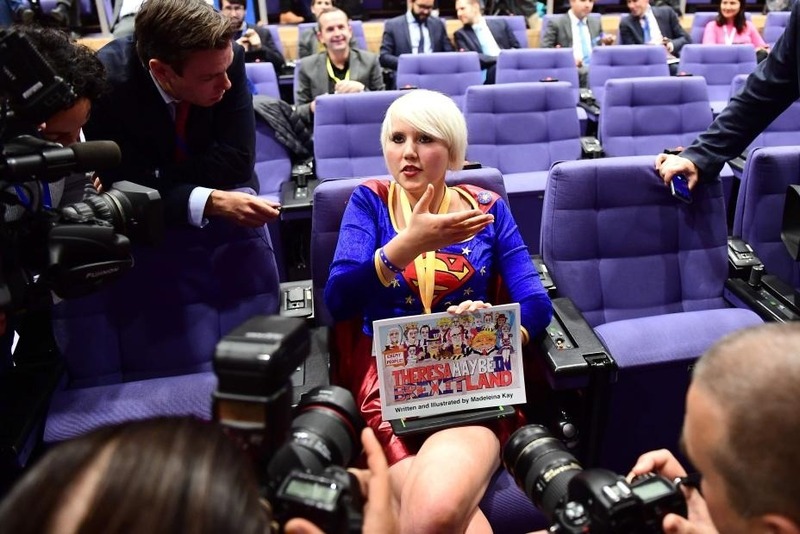 Despite the difficulties she has faced she has kept up an impressive number of media appearances and has been especially successful at achieving European media coverage. 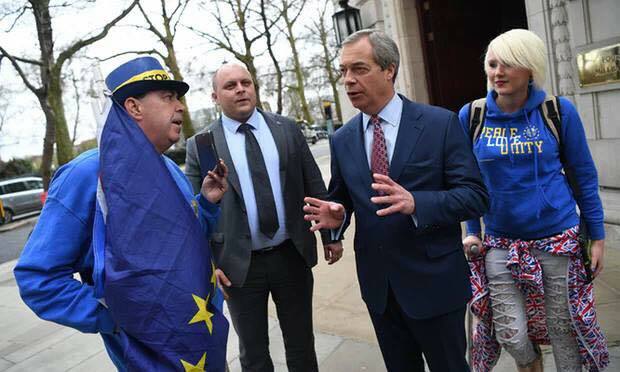 Madeleina has also travelled around the UK and Europe to participate in events, to campaign to stop Brexit and promote the pro-European narrative. In 2018 she visited; Belfast, Berlin (twice), Brussels (more times than she can remember), Dijon, Dublin (three times), Frankfurt, Gdansk, Nice, Strasbourg (three times), Vienna and Warsaw. Unfortunately, this level of engagement doesn’t come for free and Madeleina’s costs for travel, overnight accommodation, art materials, musical gear, recording studios and general living expenses have grown to a point at which the friends and relatives who have been supporting her thus far need to ask for help. 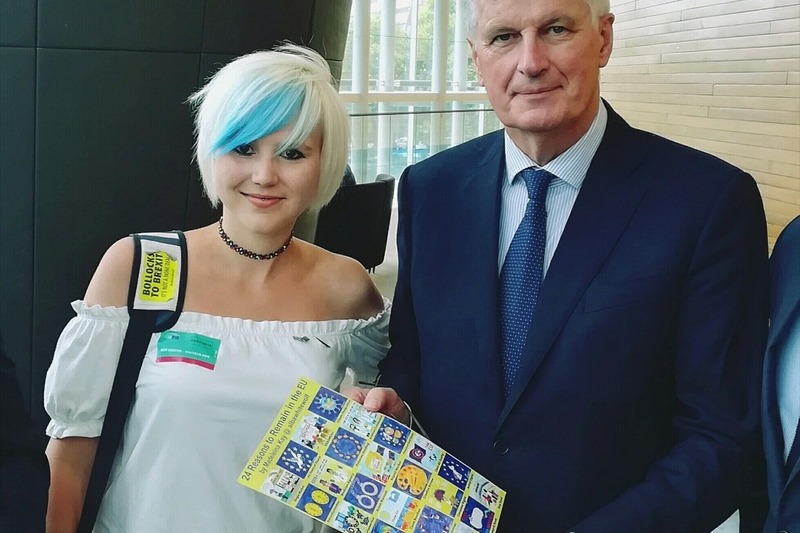 We launched this crowdfund campaign when Madeleina travelled to Berlin in March to be interviewed for the "Young European of the Year" 2018 award, a prize which she subsequently won for her creative and relentless efforts to engage citizens with the European political debate and communicate the benefits of EU membership in a positive narrative. 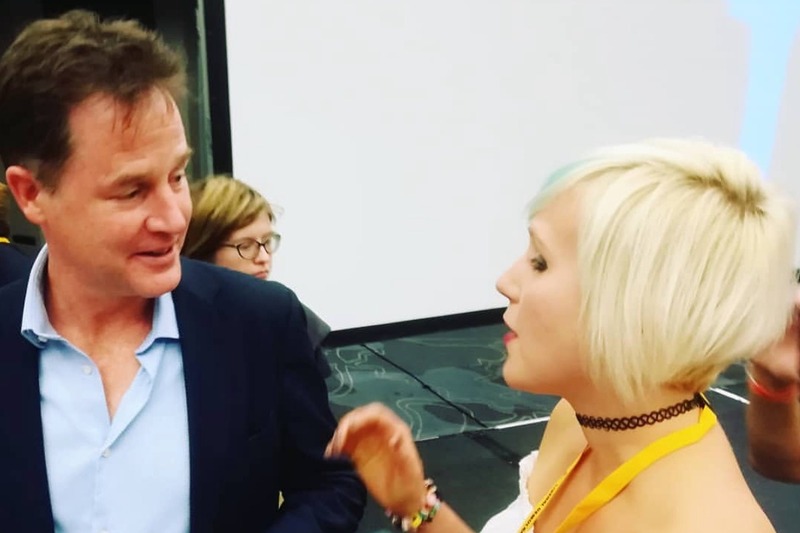 The dedication that this young activist has shown to her campaign to keep the UK in the EU is inspiring and has motivated many to join the movement. 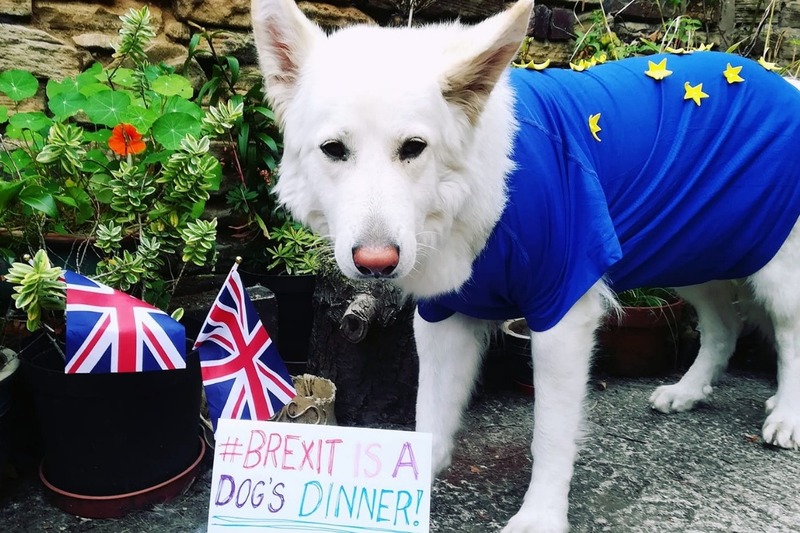 If you do not already follow Madeleina @albawhitewolf then you will be impressed and amazed at the pace and passion with which she tackles each week. 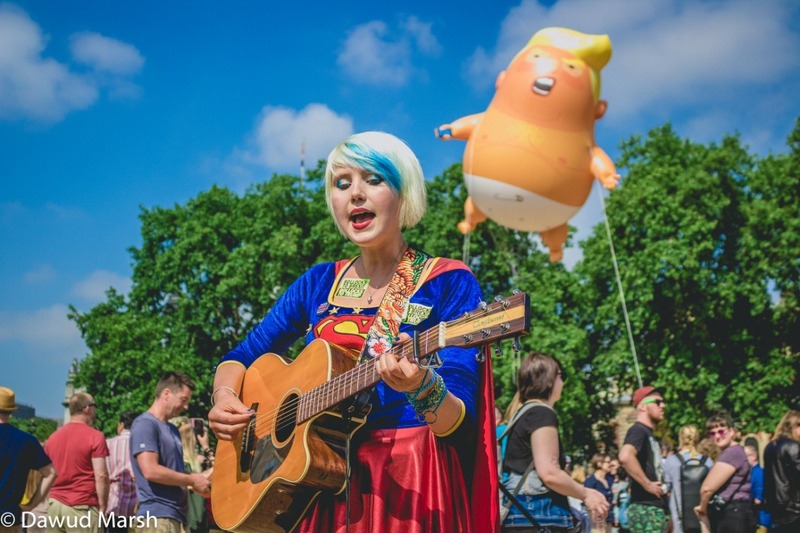 Madeleina has performed her protest songs at events across the UK and Europe, including: Strasbourg, Frankfurt, Berlin, Brussels, Gdansk & Nice. 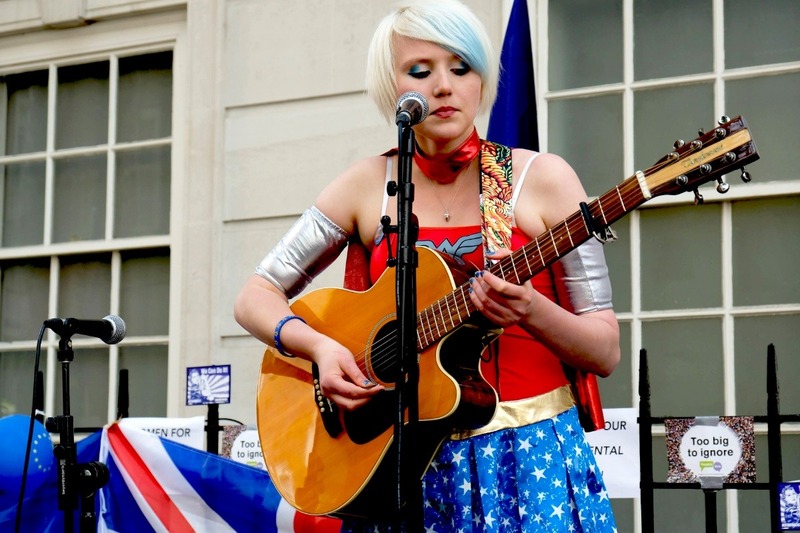 Although travel expenses are usually covered, most of these events are organised by local groups or crowdfunded organisations so she does not charge a performance fee. 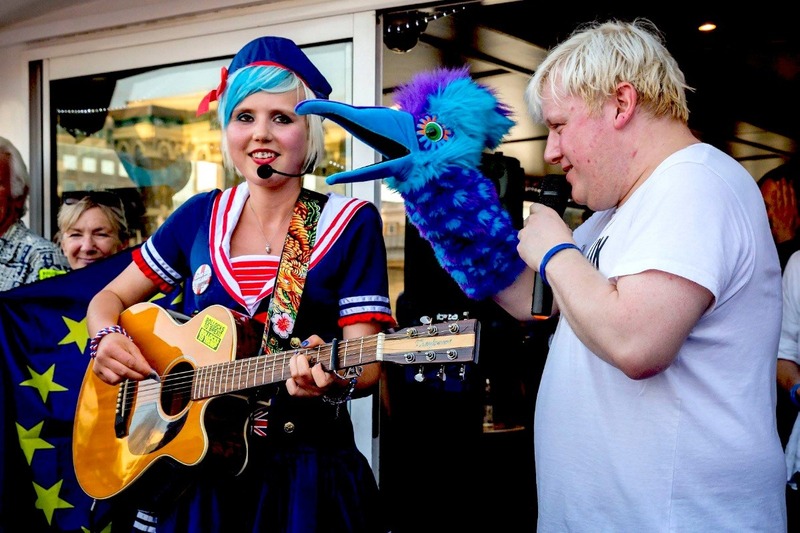 We are hoping to record some of her songs professionally in a studio to release on iTunes and Spotify. 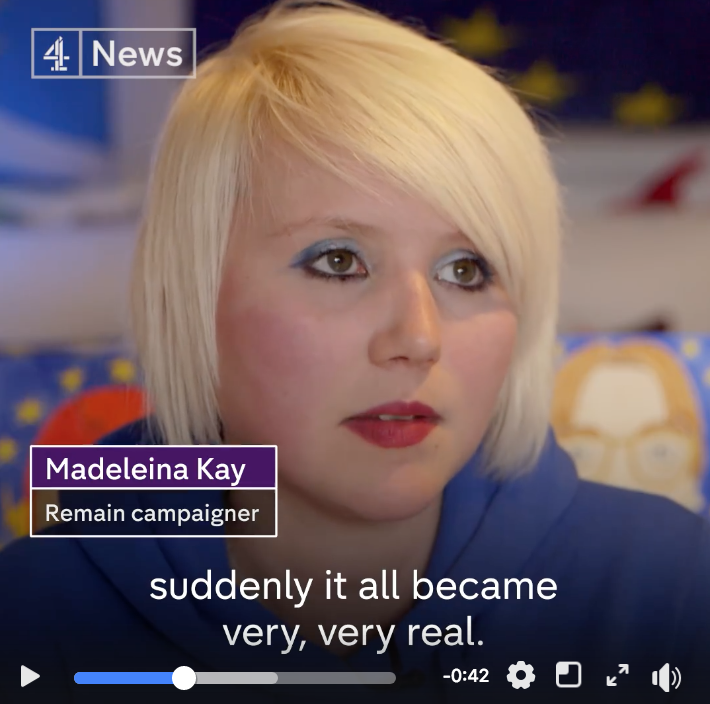 Madeleina recently crowdfunded over £5000 to print and distribute copies of her #24ReasonstoRemain posters and booklets for the local Remain groups to distribute at their street stalls across the country. 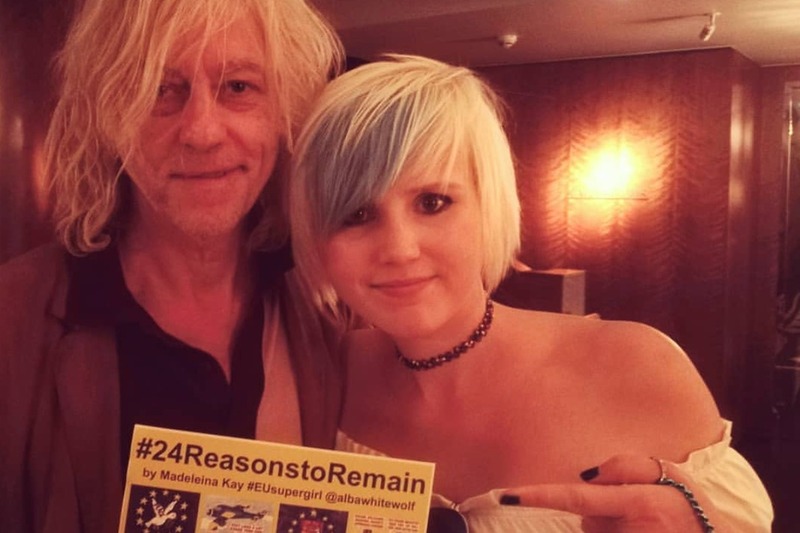 If you, like us, believe it is essential that Madeleina is able to continue making her contribution to the Remain campaign, through her art, music, writing and passionate dedication to the cause, then please consider helping to support her. We hope that you will feel able to contribute whatever you can to this very special campaign. 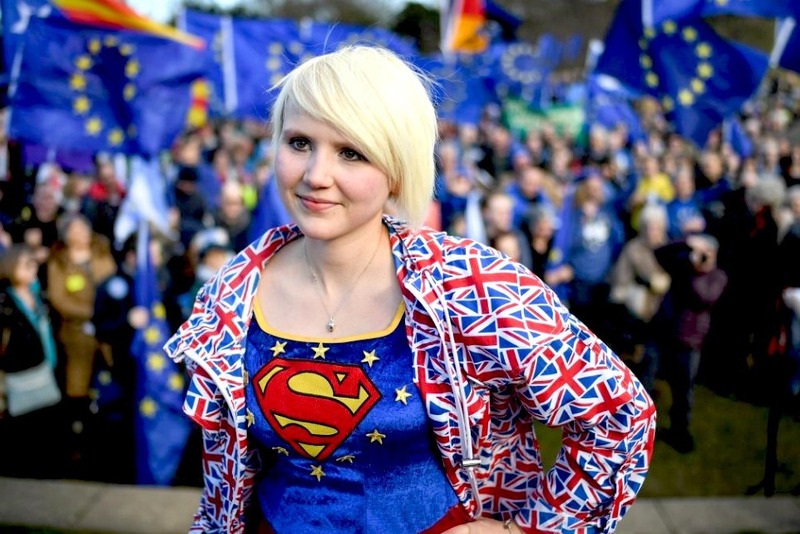 Madeleina also appeared on Channel 4 News on 29th March as #EUsupergirl in a feature filmed in her home city of Sheffield. 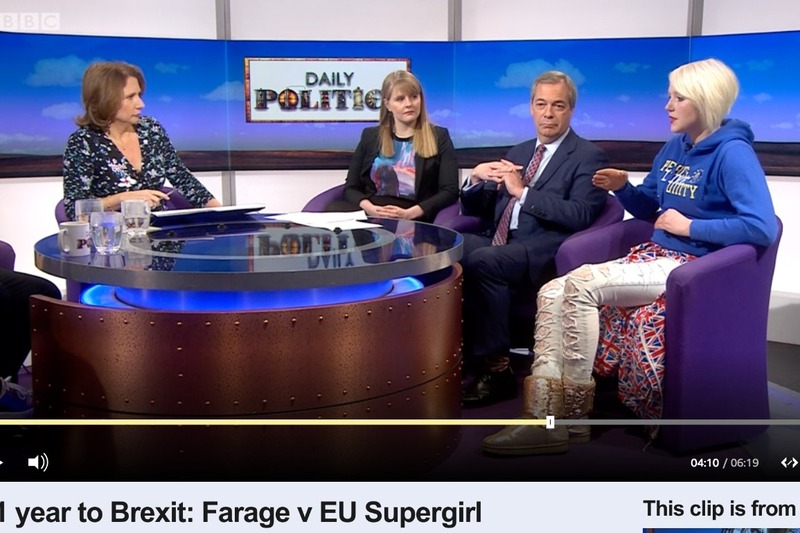 On Madeleina's birthday, she received a rather surprise birthday gift... An appearance on the BBC Daily Politics Show with Nigel Farage!